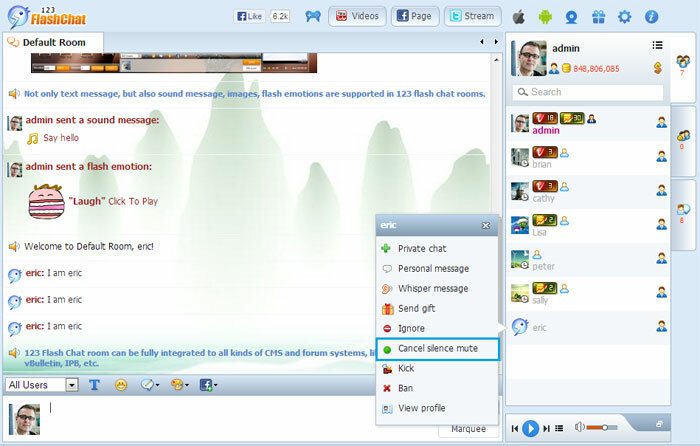 When a user is muted without notice in a chat room, he/she won't be aware of it. Although he/she can still send text messages and publish video, others won't be able to see it. 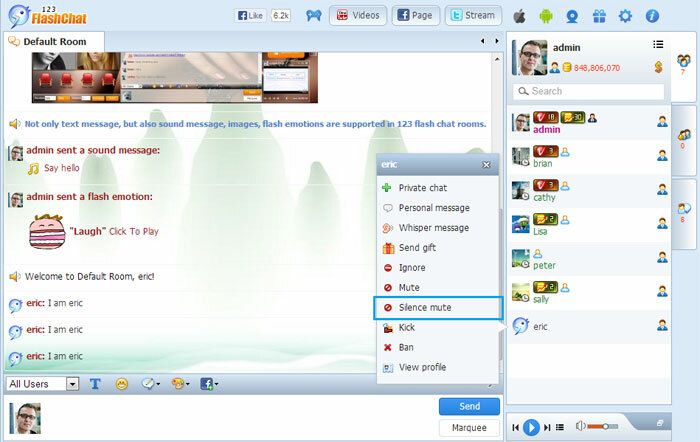 Only the admin and moderator can mute annoying chat users without giving notice. Also admin/moderator may cancel this kind of mute easily in the contextual menu.